We’re back out on the road in Finland in February and March and we’re starting to announce some summer festivals as well including a return to Spain! First though, we’re headlining Rock The Boat in Oslo on January 26th. All of the dates are now live on the Tour Dates page – See you on the road! 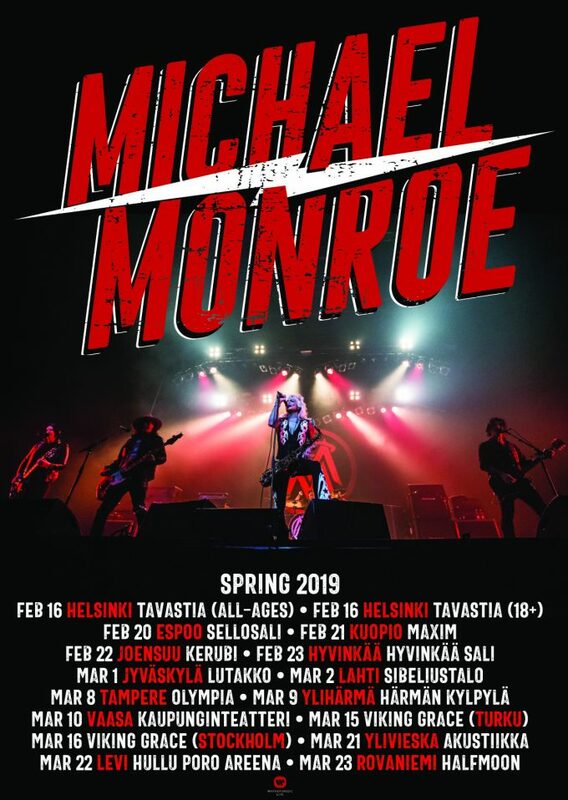 © 2019 Michael Monroe – michaelmonroe.com. All Rights Reserved.